Lisa Bevere: "Find Your Identity In God, Not In Others"
In this time where social media is such a big part of our lives and future, it is really easy to look to compare. Lisa Bevere, International Christian speaker, and New York Times best-selling author, is contending for the fact that everyone should find their identity in God instead of social media. "You don't find out who you are in the presence of people. You find out who you are in the presence of God,"
"You don't find out who you are in the presence of people. You find out who you are in the presence of God," Bevere said in a sermon clip she posted on her Facebook page. "And so we have a generation that is being inundated and overwhelmed by the presence of people and I'm not even talking about physical people, I'm talking about social media presence." She sees the development of people being more interested in the opinions of others rather than what God says about them. "We need a generation to get into the presence of God because in the presence of God, God will call you forth by name," she added. In 2016 Bevere spoke with CBN News, about how she overcame a "meltdown" herself because of her issues with comparison on social media. She adds that she believes that women are easily affected by the trap of comparison. "The truth is women are feeling less than. Women feel like they are on the outside looking in and instead of feeling sorry for ourselves when we are on the outside looking in, that's our invitation to go inward and look at God." 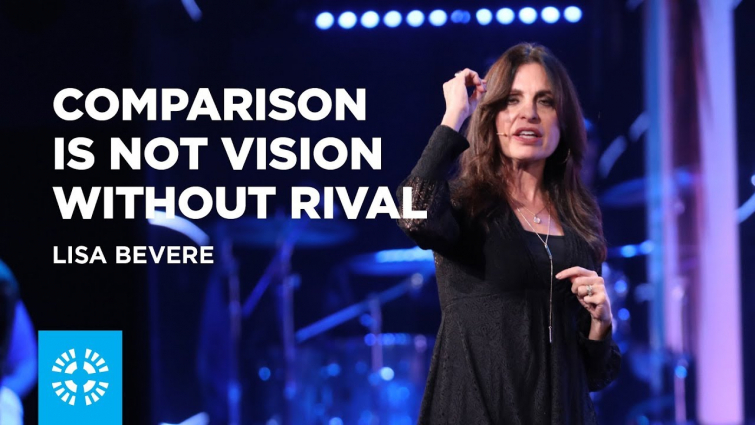 In order to say no and find our identity in Christ, Bevere emphasizes that we need to see that rivalry, insecurities, and comparison are all tools from the enemy. "It comes from the enemy, that is for sure. All he wants to do is limit us; all he wants to do is contain us. He says, 'Your past is going to disqualify you.' No, your past is your preparation for the future," she continued. "My Father is the one who created me and only my Creator has the right to identify me."